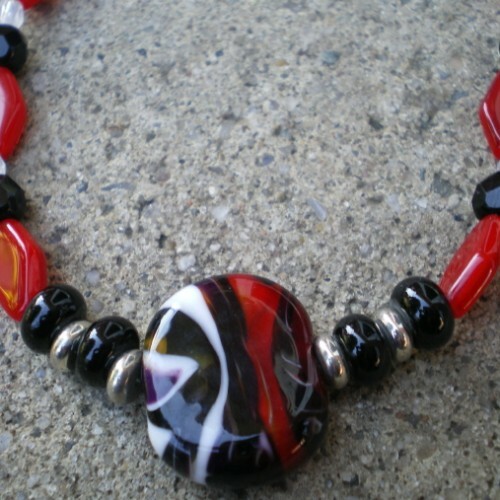 17″ Long necklace, different shape beads of red, white, and black. 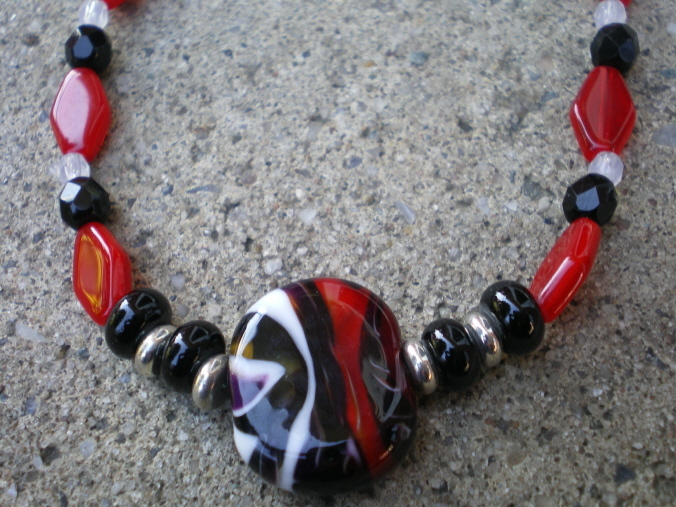 Focal area with red, black, white lampwork bead surrounded by silver spacer beads and black rondelle beads. 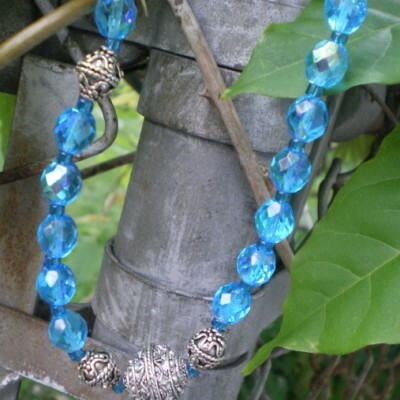 Matching earrings, silver filigree clasp. 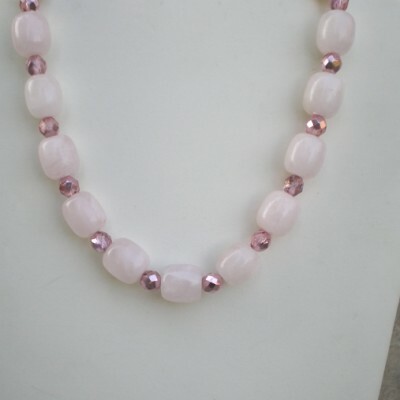 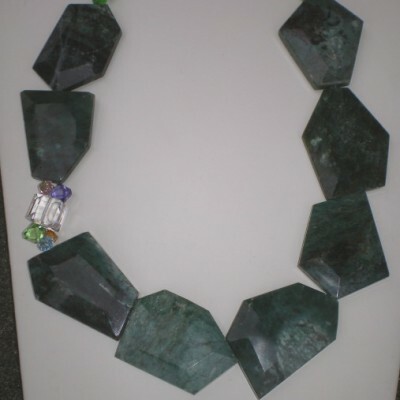 Be the first to review “17″ Long necklace, different shape beads of red, white, and black” Click here to cancel reply.